An innovative aimer featuring Cognex® lighting and optics and the Manatee Works Barcode Scanner, the MX-100 Series mobile barcode reader is a mobile device accessory that attaches to an Otterbox® uniVERSE Case System® and transforms smartphones into better barcode readers. MX-100 features a bright LED aimer and diffuse lighting for faster, more efficient mobile barcode scanning. By using the Cognex Mobile Barcode Software Development Kit (license included), the MX-100 delivers fast and reliable barcode reading of more than 20 different 1-D and 2-D barcode symbologies, ideal for light industrial, field service, and retail applications. Conventional smartphone barcode scanning applications require the user to locate a barcode by viewing a live image on the device screen and hold steady long enough for the device to capture and decode the barcode. Further, smartphones have limited illumination capabilities which make it difficult to read barcodes in dimly lit environments and its light is often two harsh for reflective surfaces. Bright LED aiming pattern, co-axial to the camera’s field-of-view, provides precise, centered barcode targeting. Diffuse, variable-intensity lighting effectively illuminates barcodes on poorly lit, low contrast, or reflective surfaces. Patent-pending optical communication eliminates the need for Wi-Fi, Bluetooth, or Lightning port configuration or communication. 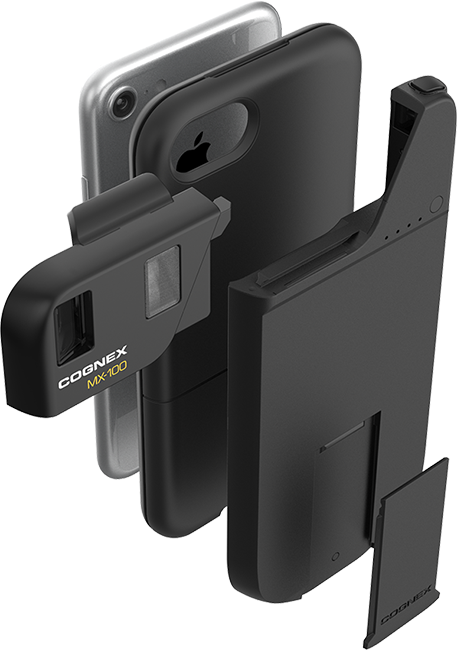 MX-100 is a mobile device accessory that attaches to a smartphone with an OtterBox uniVERSE case (each sold separately). 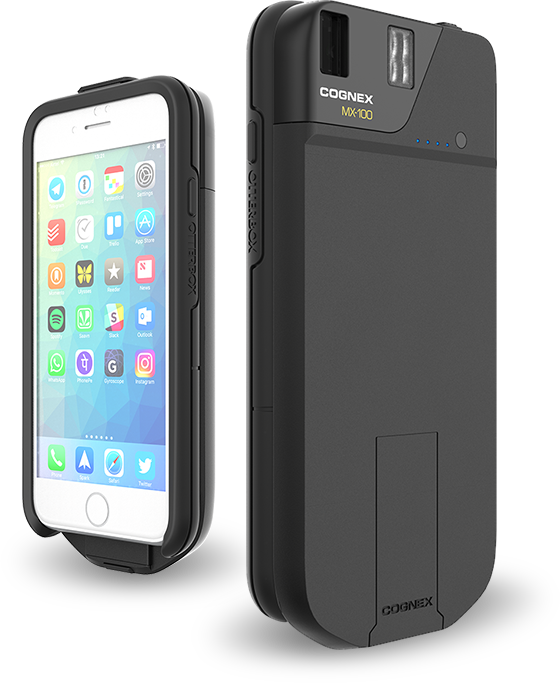 The MX-100 provides modularity and expandability by also including an OtterBox slot to accommodate other accessory modules like a device stand or credit card reader.